A little over a year ago Producer Quincy Jones was criticised for suggesting a number of departed high profile stars were bisexual. In an interview Jones said that actor Marlon Brando, soul star Marvin Gaye and comedian Richard Pryor were all bisexual. 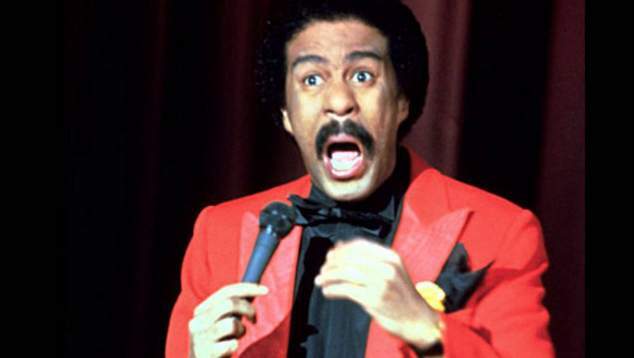 Now in a new documentary one of Richard Pryor’s wives has shared that the comedian often had “dalliances’ with men and was open with her about his bisexuality. Pryor was married seven times, to five different women. He also had seven children from six women, three of which he was married to. He married two of his wives twice. Jennifer Lee Pryor was married to the comedian from 1981 until 1982, but the remarried in 2001 and stayed together until Pryor’s death in 2006. In a new interview with People magazine Jennifer, who is now 79, says her late husband was mostly interested in women, but did have encounters with other men. She says Quincy Jones suggestion that her husband had an affair with screen legend Marlon Brando was an overstatement. The complicated life of the comedian is explored in a new documentary I Am Richard. While the comedian had a hugely successful stand up and film career, he also struggled with substance abuse and reportedly was a perpetrator of domestic violence. For many years a film version of the comedians life has been in the works, OPrah WInfrey is attached as a producer on the project.